As we were traveling down the road on our way to dinner we passed by the Thousand Island Golf Course. It was a beautiful evening and the sun setting on the golf course lake was was so peaceful. All of a sudden I screamed out “Stop the car – turn around I have to get that picture”. 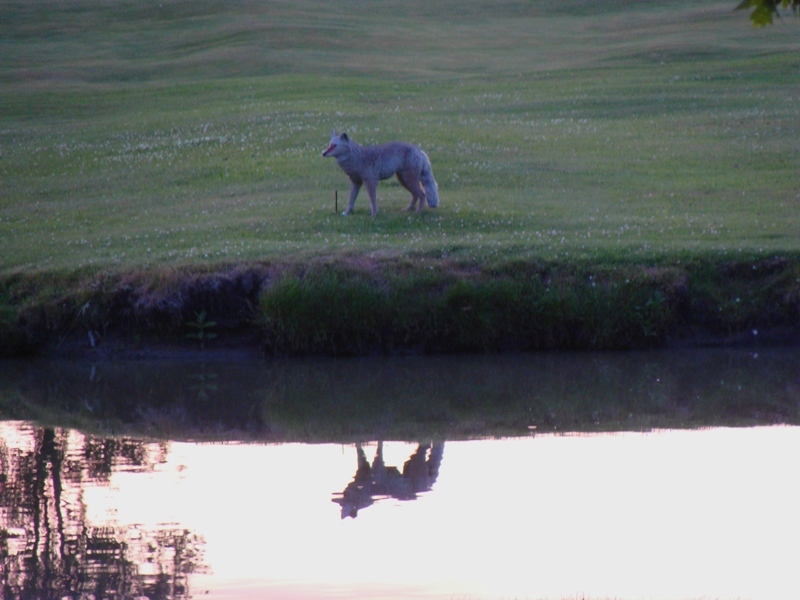 There by the side of the lake was a coyote. I heard they lived on the island but had never actually seen one. It was poised in a stalking position and just up ahead about 40 feet up the lake was another one. Bob told me they are smart hunters- one is the lead spotter and the other sneaks up for the kill. I quietly got out of the car. I crouched down low and started to take photos. It was so cool – they were so intent on the geese up ahead that they didn’t even see me. I took off my shoes and stalked them, getting closer and closer to my side of the lake. I was might be crazy but I am not stupid. They can’t swim can they? And then all of a sudden Bob called out “Hey!”. I whipped around with glaring wolf eyes of my own. I am on a wild animal photo shoot worthy of National Geographic. I am skulking around barefoot in the tall grass with wild coyotes around and he is yelling out to me. What is he crazy? I turn around to try and catch the coyotes who by now are probably running away when I notice that my coyotes have not moved, not an inch. They have not even looked over at me. Bob strides over to me where I am crouched in the weeds and says in a little whisper “they are decoy coyotes honey – they are fake, they aren’t real, they are FAUX COYOTES!” You have got to be freaking kidding me! I yell out to them – nothing – I waves my arms at them – nothing. That is just so wrong. 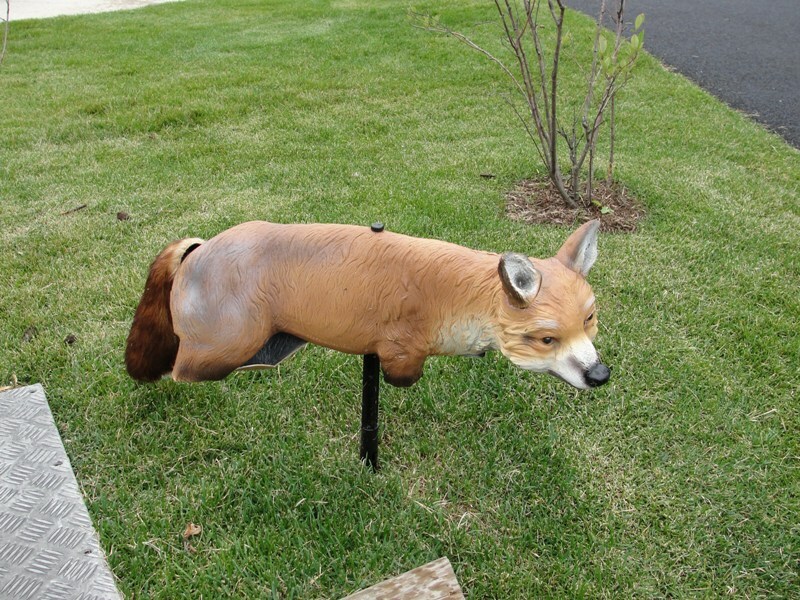 It is one thing to put fake deer, ducks, horses and cows in your yard – but coyotes! 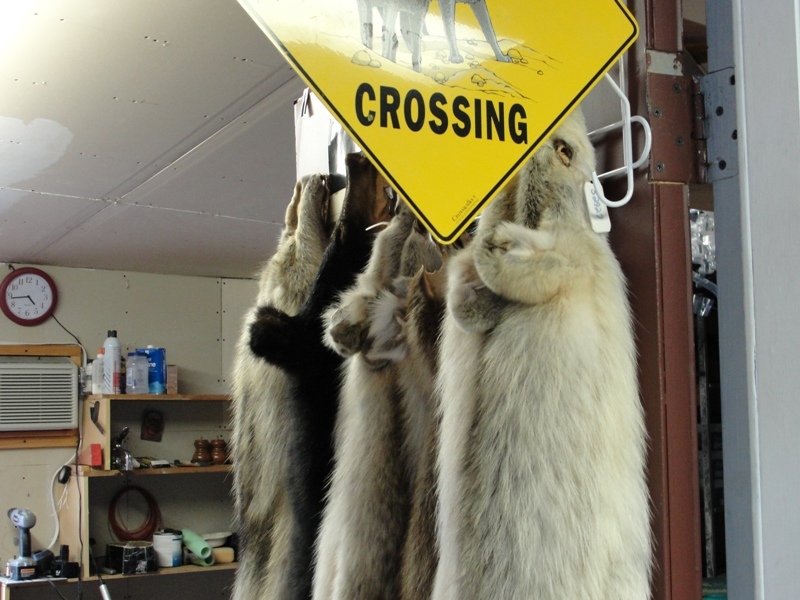 This is not to say that there are not real coyotes up here as you can see by this lovely photos of wolf skins in a local store. As I traveled around up in the north country I started to notice more faux coyotes. 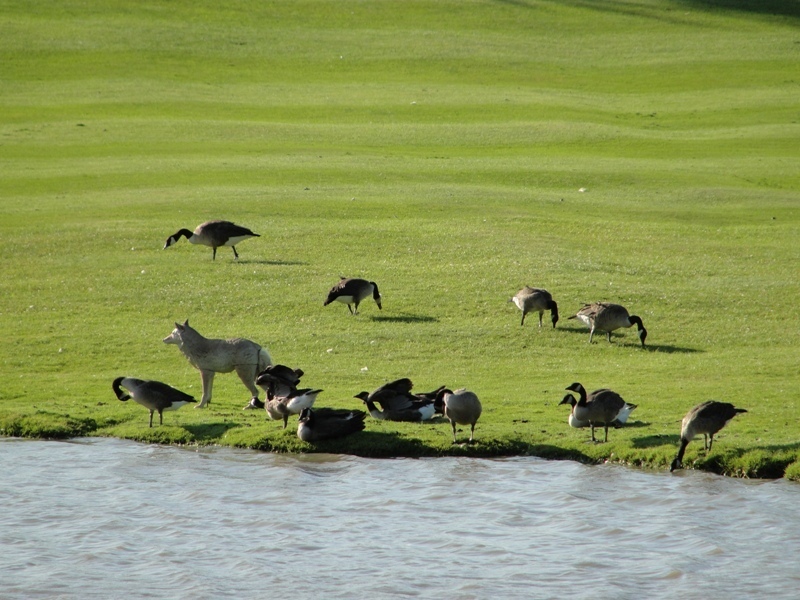 So I wondered if they worked – did they really keep the geese away? I got my answer a few nights later when we went back to dinner at Joey’s. There, by the side of the lake, were my two coyotes. The lead dog and the back up coyote were standing there, just as I had left them. 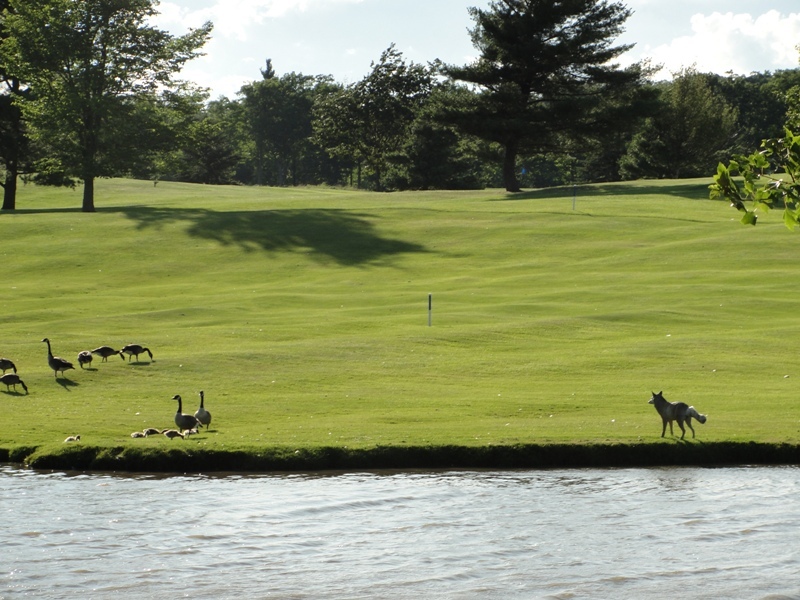 Gee whiz – looks like those geese are really afraid. You can fool some of the people all of the time, and all of the people some of the time but you can not fool the Canada Goose with a faux coyote! Well, I guess my career as a wildlife photographer has come to a screeching halt. I will stick with barns and flowers!